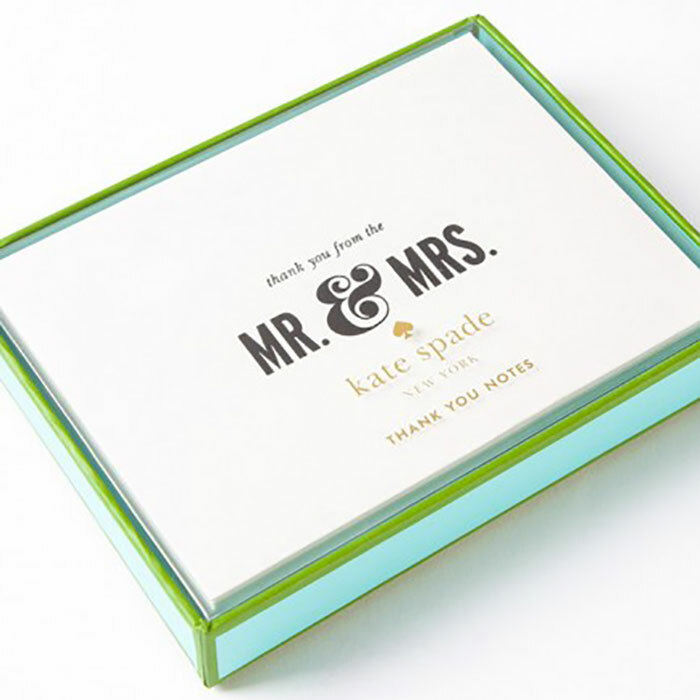 Thank your wedding guests with a hand written note on these stylish thank you cards from Kate Spade New York. Thanks from the ‘Mr. & Mrs.’ card set. 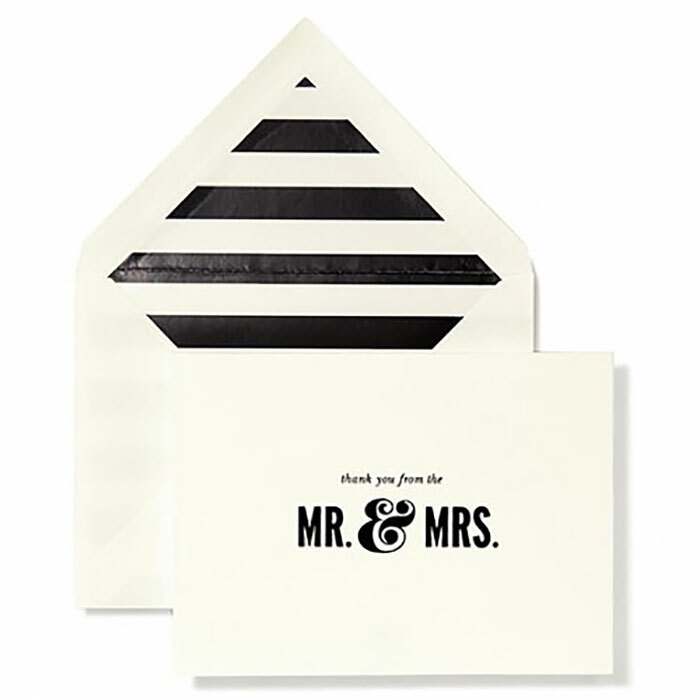 After the party’s over and you’re basking in the glow of your newly wedded bliss, make sure to write out all of your thank you cards with this stylish set of “Mr. and Mrs.” Cards from kate spade new york. Each card comes with a matching envelope.